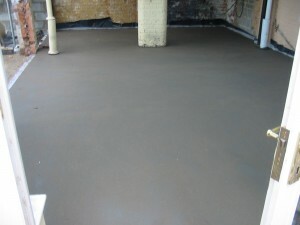 Before the final floor of a building is installed, a screed floor has to be installed first. The floor screeding is a process that involves applying a mixture of cement, sand and water to a floor base before installing the final floor finish. It is a well-blended mixture that is applied to the floor to form a sturdy sub-floor that is capable of taking on the final floor finish properly. Floor durability: The flooring materials installed after the screed floor usually last for a longer period of time. The underlying layer protects them against moisture and other factors that may cause degradation. Additionally, the floor screed reduces the friction on the underside of the final flooring material resulting in a longer ‘shelf life’. Comfortable flooring: Research shows that it is more comfortable to walk on a floor where a floor screed was installed. The screed mixture gives the final floor finish a certain level of elasticity that creates a spongy effect on the final finish. The benefits are realized when a floating floor screed is used. 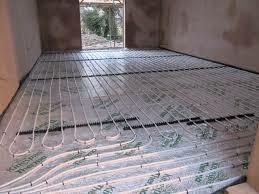 Heat insulation: Screeding helps to increase the insulation capacity of the floor. The room remains warm as the screed absorbs heat and gives it off when the temperature goes down. An added benefit may be the heating bills are significantly might reduce when you install a screed floor. There are special screeding materials with low thermal mass for enhanced and improved energy efficiency. Clean the floor on where to install the screed floor. Remove any dust or dirt available. Mark the area to screed with a duct tape to be accurate. Apply the screed on the floor. Screeding floor should begin from the corner of the room working toward the door so as to avoid stepping on the screed floor. The screed may be bonded to the floor directly or put as a floating finish if the floor is to contain underfloor heating pipes. The thickness of the screed floor varies depending on whether the floor is unbounded or floating finish. ensure that you level the floor as you screed. Allow the floor to compound completely before stepping on it.